Travel has three phases. There is planning, there is living what actually happens, and then there are the memories. Always unexpected, the moments I remember surprise me. I went over to the home of some friends last night for (the best ever) homemade pizza and scrumptious wine. We were chatting about Mike and Heather's recent trip to London, when suddenly Mike (who is a fellow cyclist and works Marketing for Giant and Pearl Izumi) said, "oh I have something to show you", and off he ran into his home office. He came back holding a large book. "The Rapha book!" I exclaimed. "How many of the climbs have you done now?" Mike asked, "lots of them, I don't know the number, but not too many over here," I said as I pointed to the mountains at the eastern edge of the Pyrenees. I sat there in the kitchen and dove into the pages of the beautiful book. Suddenly, with a smile, Mike said, "You take that with you, go ahead, it's yours". I looked at him wide-eyed and said. "really, I will actually read all of this book you know, thank you so much!" 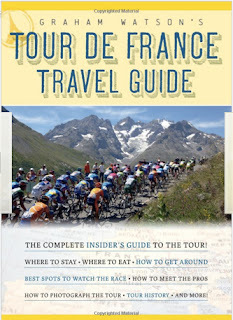 I had seen this book before in the Rapha Tent at the Etape du Tour Start Village in Pau in 2008. 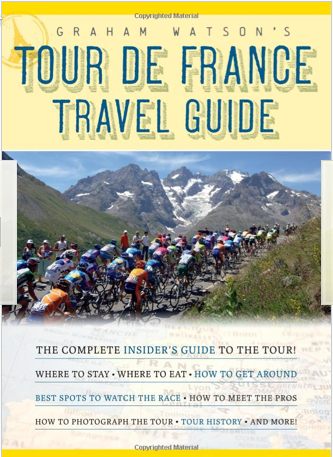 The book titled Guide to the Great Road Climbs of the Pyrenees is written by Graeme Fife , it holds a tremendous amount of information about the French Pyrenees. The book includes images, climb profiles, description, and history (my favorite part). Such a wonderful gift. 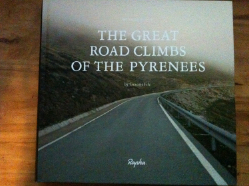 The book means even more now that I have spent time in the Pyrenees over the past ten years. Names and facts and feelings don't sink in until I walk in a place. Do you feel that way about travel? Planning any trip brings great joy as I learn, imagine and decide what I want to see, but it is not real until I have experienced it. I can't tell you how many times I have changed plans in the middle of a vacation because once I am there I realize I want to do this instead. I now know to plan for spontaneity, for learning on the fly. In the end, the best memories are always surprises anyway. On this cool rainy evening in Denver, I look forward to pouring over the pages of this big book, letting the memories roll.